Powerful angle grinder now free from cord. Only compatible with BL1830 3.0Ah Li-Ion battery. 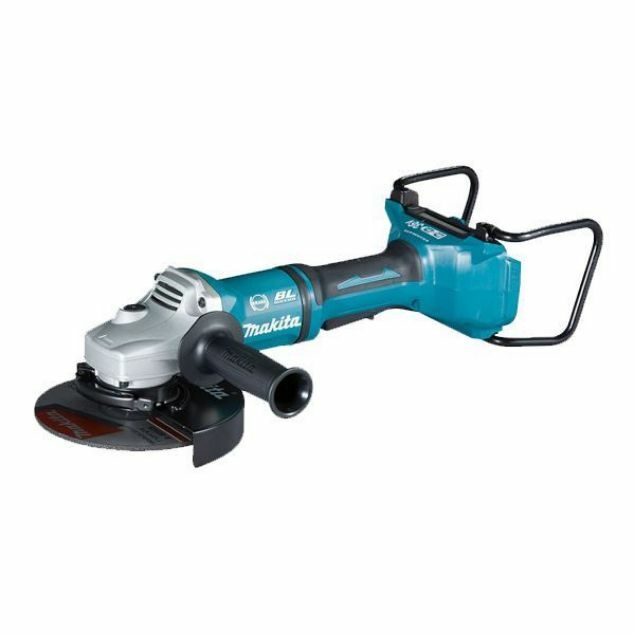 Capable of using wheels / discs for AC grinders. Easy to grip, small circumference motor housing. Anti-restart function for safety (with warming lamp). Electronic current limiter (with warning lamp). Includes Carry Case. Battery and charger sold separately. Powerful angle grinder now free from cord. - Only compatible with BL1830 3.0Ah Li-Ion battery. - Capable of using wheels / discs for AC grinders. - Easy to grip, small circumference motor housing.